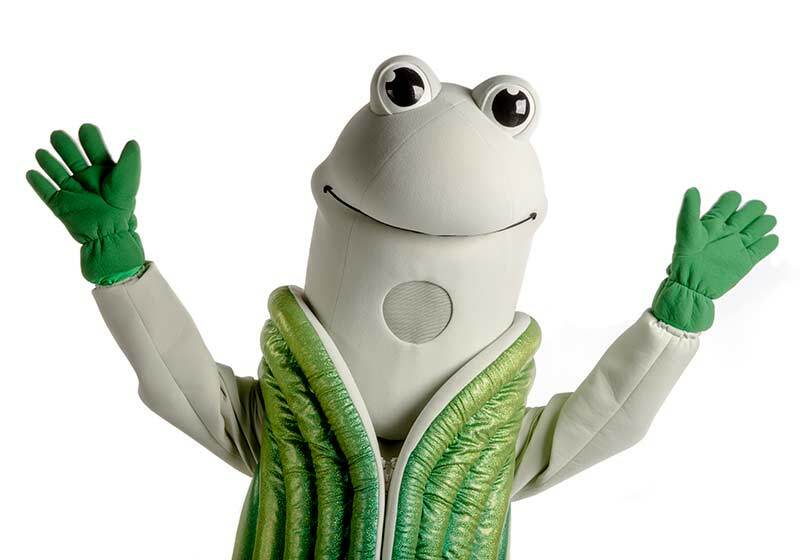 Speedy the geoduck is Evergreen’s mascot. The geoduck has been called every name in the book: weird, versatile, baffling, even a delicacy, but Speedy represents the essence of Evergreen’s charm. 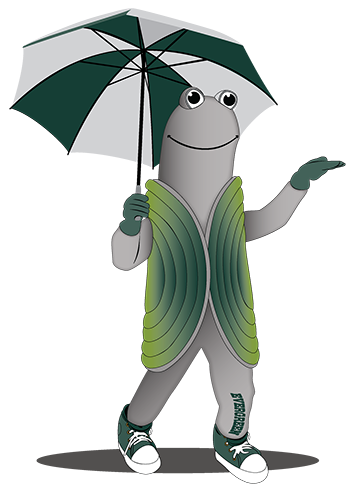 It’s Speedy, Evergreen’s geoduck mascot! Despite the name, a geoduck is not a duck, nor is it a geode. In fact, it’s pronounced like gooey-duck. Clearly, nothing is quite as it seems when it comes to the geoduck. The geoduck is the world’s largest burrowing clam. The Puget Sound geoduck weighs in at over two pounds on average. It’s so large, it can’t fit into its own shell. Omnia extares, indeed! Geoducks can live longer than you or I. The longest-lived geoduck on record was 168 years old. Technically, that would make it a supercentenarian, but we’ll settle with just super. The word geoduck comes from the Lushootseed word gʷídəq, meaning “dig deep.” Geoducks stretch their siphons out up to three feet beneath the sand. Get out your clam-diggers. Geoducks are most commonly found in the Puget Sound and the Strait of Georgia near Vancouver, British Columbia in Canada. Pacific Northwest represent! The handsome geoduck. Good enough to eat! Some consider the savory-tasting geoduck to be a delicacy. There are many ways to prepare one for dinner: serve it raw as sashimi, or turn it into a pie. It’s easily the worst college mascot. Or, you know, very possibly the best. Speedy is one of just two non-insect invertebrate college mascots. The other is Sammy the UC Santa Cruz Banana Slug. Just don’t call ’em spineless. Geoducks have been featured in TV shows like Dirty Jobs, No Reservations, Iron Chef, and many others. Face off against other college mascots in a game of Gorillas, an 8-bit artillery strategy game, featuring Speedy. Speedy likes you, and you can like them back on Facebook. Or follow Evergreen’s Geoducks on Twitter. The geoduck is a symbol of the essence of Evergreen: accessible to all who are willing to dig deep. At Evergreen, the Geoduck represents more than team members and fans. Founders of the college wanted a mascot that epitomized the difference between traditional schools and Evergreen’s innovative ideas. It had to be the opposite of all the snarling, fierce, aggressive mascots typically seen in athletics. It is a symbol of the essence of the college: accessible to all who are willing to dig deep—stable, yet flexible, and the antidote to departmental thinking and design that is the standard in most colleges and universities. 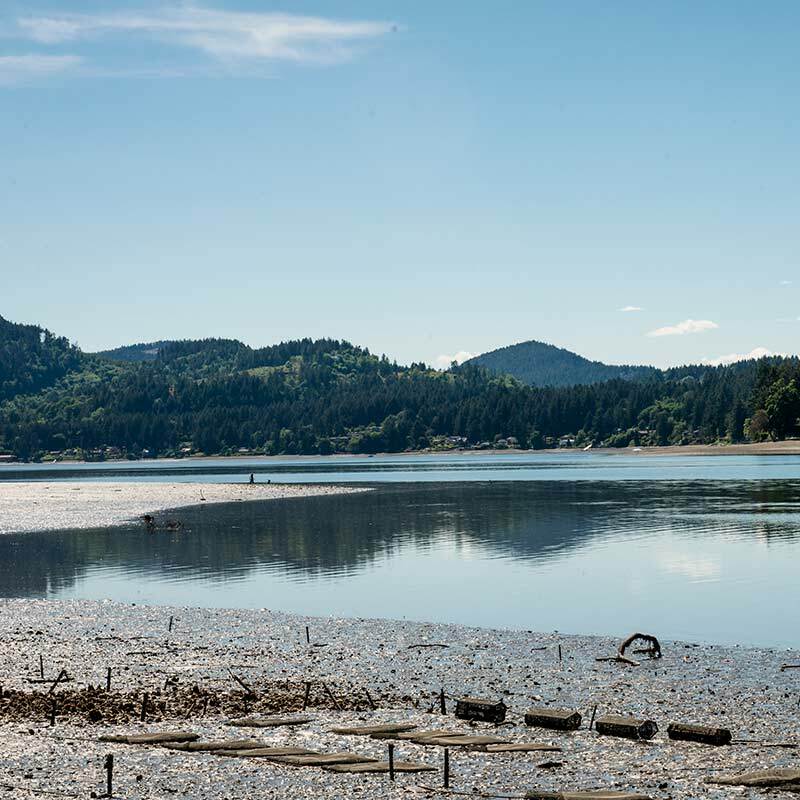 And since Evergreen is devoted to sustainable and environmentally conscious practices, the geoduck—a integral part of the Pacific Northwest ecosystem—is the perfect representative. Geoducks are the most abundant marine animal in the south Puget Sound, with each adult clam filtering about 30 gallons of water every day. The clam uses a tiny foot to burrow into the seafloor as it grows. Its shell can end up several feet down, with only its neck poking up into the water. Called siphons, these necks, double-barreled like a shotgun, dimple the sand like rows of wheat. Geoducks feed by drawing microscopic creatures called phytoplankton down one side of the neck, and they expel filtered water through the other. Once buried, a geoduck’s shell remains sedentary. While other clams move to avoid predators, a geoduck, when approached by a hungry crab or spiny dogfish, retracts its siphon, like a turtle withdrawing its head. Versatility & flexibility—Evergreen can change to fit the needs of its students. Vulnerable & non-aggressive—Evergreen does not use competition to push academic achievement. Instead of grades, we have evaluations and an environment that encourages students to help each other rather than compete for the highest rank and grade. The opposite of big sports obsession at traditional colleges. Permanence—Evergreen is like a rock. It won’t go anywhere. Geoducks are rooted to the same spot forever. Meet our newest mascot! After three years in the making, Speedy has become our most loveable geoduck yet. This very early, very literal take on the geoduck looked good, but lacked personality. This homonymic take on the geoduck added a duck’s beak. Like the northwest’s native Sasquatch, this elusive geoduck almost escaped our lens. Enhance! These low-resolution photos are the only ones we have of this version of our mascot. If you took better ones, send them to us! Here, Speedy enters a shiny, sparkly phase. The last incarnation of Speedy, affectionately called the pickle taco, was retired in 2014. Factual or humorous, rustic or technical, sometimes even with a little bit of glam, our mascot has gone through many phases of life. If you have photos of any of Speedy’s phases, share them with us. We may use them on our site. This recording of “The Geoduck Fight Song” was sung at Evergreen’s 2012 commencement ceremony. I have been privileged to play a role in the history of Evergreen. As a member of the Planning Faculty, I was present one Spring day in 1971 when my colleague Beryl Crowe made a lunchtime suggestion: the motto of the school should be: “Let It All Hang Out!” Several of us applied our rusty Latin to see what a formal Latin inscription would be. We were stumped until someone remembered that Librarian Monica Caulfield had been an undergrad Latin major. She pondered at least thirty seconds then wrote: “OMNIA EXTARES!” on the chalk board. “Because it is an imperative, we’ll need the exclamation point,” she said. “LET IT ALL HANG OUT!” We liked it. We meant it.